Richard Norris indulges his psychedelic disco-rock fantasies in finely crafted style on his most substantial LP since 2010's 'Set Phazer To Stun'. 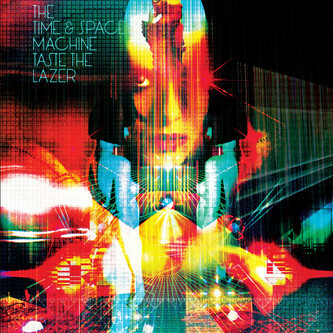 Accompanied by an assembly including Erol Alkan on guitar, widely credited drummer Wildcat Will (Primal Scream/Beth Orton/Death In Vegas), and Paul Sandrone, 'Taste The Lazer' is an expensive-sounding Acid-Psyche reflux finding spirituality in their references to swirling Indian ragas, Kosmiche rock and Balearic Disco rhythms. Fingers and toes are crossed for a dubstep remix album.